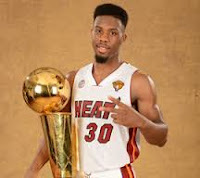 National Training Camp Presented by Alaska - Norris Cole of the New Orleans Pelicans and WNBA Champion Taj McWilliams-Franklin will travel to Manila to participate in the Jr. NBA/Jr. WNBA Philippines 2016 National Training Camp. Cole and McWilliams-Franklin will help coach participants from around the country vying to be named 2016 Jr. NBA/Jr. WNBA All-Stars. The National Training Camp will be held at the Don Bosco Technical Institute April 22-23 and at the SM Mall of Asia Music Hall on April 24. Cole and McWilliams-Franklin will join Jr. NBA/Jr. WNBA Head Coach Craig Brown to coach the 2016 finalists at the National Training Camp and will also serve as coaches for the annual Jr. NBA Alumni All-Star Game featuring past Jr. NBA standouts. This year’s program has reached a record 20,000 players and coaches across the country. Cole, who was drafted 28th overall in the 2011 NBA Draft, won two NBA championships with the Miami Heat in 2012 and 2013. He averaged 10.6 points, 3.7 assists and 3.4 rebounds per game with the Pelicans this season. McWilliams-Franklin, a two-time WNBA champion and six-time WNBA All-Star, was selected 32nd overall in the 1999 WNBA Draft. McWilliams-Franklin spent 14 seasons in the WNBA, playing for the Orlando Miracle, Connecticut Sun, Los Angeles Sparks, Washington Mystics, Detroit Shock, New York Liberty and Minnesota Lynx. The Jr. NBA/Jr. WNBA Philippines 2016 presented by Alaska culminates with the National Training Camp, which provides the top 50 boys and top 24 girls with the opportunity to train with and compete against their peers. The finalists were selected from Regional Selection Camp participants from Baguio, Cebu, Davao and Manila. At the end of the National Training Camp, 10 boys and five girls will be selected as Jr. NBA and Jr. WNBA All-Stars and will travel on an overseas NBA experience trip together with fellow Jr. NBA All-Stars from Southeast Asia. The program will also feature the selections of the 2016 Jr. NBA and Jr. WNBA Coaches of the Year, who will join the Jr. NBA and Jr. WNBA All-Stars on the experience trip. The Jr. NBA, the league’s global youth basketball participation program for boys and girls, teaches the fundamental skills as well as the core values of the game at the grassroots level in an effort to help grow and improve the youth basketball experience for players, coaches and parents. During the 2015-16 season, the Jr. NBA will reach more than 6.5 million youth in 33 countries. Jr. NBA/Jr. WNBA is presented by Alaska. CloudFone, Gatorade, and Globe Telecom serve as Official Partners of the Jr. NBA/Jr. WNBA in the Philippines, while Spalding is a Supporting Partner. ABS-CBN Sports + Action, Basketball TV and NBA Premium TV are the Official NBA Broadcasters of the Jr. NBA/Jr. WNBA in the Philippines. Visit the official Jr. NBA/Jr. WNBA event website at www.jrnba.asia/philippines to learn more about the program terms and conditions. Fans can also follow Jr. NBA on Facebook at www.facebook.com/jrnbaphilippines. For all things NBA, visit www.nba.com and follow us on Facebook (www.facebook.com/philsnba) and Twitter (www.twitter.com/NBA_Philippines).